After kashrut controversy over catering hall in Shoham, Rabbinate admits the city's chief rabbi handled the matter as was required. 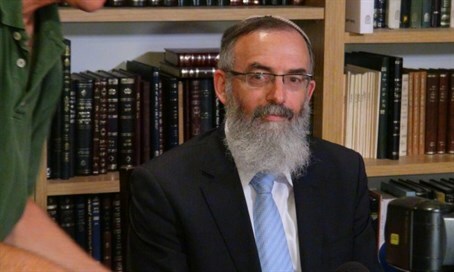 On behalf of the Chief Rabbinate, Rabbi Rafi Yohai apologized to Rabbi David Stav, Chief Rabbi of Shoham and head of the Tzohar organization, over accusations made earlier in the week that the Shoham Rabbinate had failed to prevent the usage of non-kosher products in a local catering hall. The story began Sunday, when the Rabbinate issued a notice saying that the Aryeh catering hall had been utilizing several non-approved products, including canned and fresh vegetables, as well as “contaminated mushrooms,” the nature of which was not described. Commenting on the findings, sources in the Rabbinate told Arutz Sheva that Rabbi Stav was directly at fault. “He is always talking about improving the kashrut system and making it easier for couples to marry, claiming that the Rabbinate is not doing its job, but it appears that Rabbi Stav has enough work in his own backyard to keep himself busy instead of criticizing others,” the sources charged. In a statement Sunday, Rabbi Stav's office said the issue had already been dealt with, and that the questionable products had not been used, rather packed to be returned to the supplier. “A Rabbinate inspector came to the hall after someone told him it was using non-kosher products, and the inspector enthusiastically adopted that version of events, ignoring the facts. We would suggest leaving our competent staff to its work, instead of searching for ways to tear them down,” the statement said. Apparently Rabbi Stav demonstrated to the Rabbinate that such was the case, and as a result the apology was issued, observers said.